Q: I’ve seen increasing references to the Health at Every Size (HAES) approach to treating eating and body-image issues. That’s not my clinical specialty, but is this framework relevant to my work? A: When I look back on my 35 years of practice, I recognize important, overarching paradigm shifts that have changed the way we work with clients. Becoming trauma informed, even if we don’t specialize in trauma, and no longer pathologizing people who identify as LGBTQ, are just two examples that come to mind. Similarly, a paradigm shift around weight and wellness is occurring in our field with the Health at Every Size (HAES) framework. Societal norms regarding weight, health, and eating affect every client we work with, regardless of body size. We’re inundated every day with messages from family, friends, colleagues, media, and even doctors and mental health professionals that prioritize weight over well-being; promise health, happiness, and success to those who can conform to a certain ideal; pressure people to pursue thinness and fear fat at all costs; presume that people have control over what they weigh; pose as health promoting, even as they harm; and promote fat shaming and weight stigma. We call these negative messages the six P’s of diet culture. While therapists often support the pursuit of weight loss as an act of self-care, overwhelming evidence indicates that dieting almost always leads to negative physical and emotional consequences. By becoming HAES informed, you can support people of all sizes when it comes to respecting and taking care of their bodies without inadvertently causing harm. In the early 2000s, many of us who reached the same conclusions about weight and well-being came together to figure out how to combat these societal pressures. We knew that the vast majority of people who diet gain the weight back, and that the human body adapts to these periods of deprivation by raising its set point and becoming heavier over time. We witnessed the universal feelings of shame induced by diet failure and the toll it took on people from all walks of life. We also observed, or experienced ourselves, that while many people practiced positive self-care related to food and other areas of their lives, they didn’t necessarily lose weight. Given the lack of evidence to show that weight loss can be sustained over a two- to five-year period, and research showing that weight cycling actually leads to poorer health outcomes, was it reasonable, fair, or even ethical to demand that people diet to fit society’s standards? At its core, HAES is a weight-inclusive philosophy, which seeks respectful treatment for people of all sizes, offering a path for wellness beyond weight. It focuses on teaching people to eat in accordance with hunger and satiety cues that are in line with the body’s natural needs, rather than the rigid prescriptions of a diet. It also encourages physical activity for pleasure and health benefits, rather than the pursuit of weight loss. But beyond individual behaviors, it helps people understand broader social-justice issues related to body size, including weight bias, stigma, bullying, and discrimination. The biggest concern people express about the HAES movement is that by countering diet culture and weight stigma, we’re somehow disregarding people’s health. But that’s far from true. According to research from the Centers for Disease Control and Prevention, people in the “overweight” category of the Body Mass Index (BMI) have the longest lifespans, and people in the “normal” category have the same mortality rate as those in the lower end of the “obese” category. In fact, people who fall into the “obese” category of BMI and are fit have half the mortality rate of people who are thin and sedentary. Using BMI to assess health status is actually wrong about 50 percent of the time. It’s a myth to interpret HAES as suggesting all higher-weight people can be healthy. Health is a continuum, and people at both higher and lower weights can be healthy and unhealthy. Studies show that behaviors such as maintaining fitness can improve health regardless of whether weight is lost. HAES encourages people to take care of their bodies: if weight changes occur, that’s a side effect, but not the goal. The HAES philosophy contends that people of all sizes deserve to pursue—and have equal access to—resources that support their bodies in achieving optimal health as they define it. Most clinicians would support this philosophy in theory, but when I ask therapists in my trainings to assess their attitudes toward thin and fat, I often find them unaware of the weight biases they carry and how these beliefs affect all types of treatment. At a recent workshop, for instance, Jonathan realized that even though he’d never express his judgments about someone’s fatness out loud, he still thinks them—and he wondered if his clients could pick up on that. Eva shared that while she doesn’t judge her clients, she’s very hard on herself. As she explored countertransference issues, she acknowledged feeling jealous of her thinner clients. 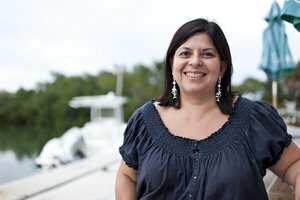 Carla revealed that she works in an eating disorder center where staff frequently describe food as “good” or “bad.” She knows this diet mentality is counterproductive to the goals of eating disorder treatment, but as a higher-weight therapist herself, she feels uncomfortable challenging her colleagues, and even eating around them. Naming these beliefs and attitudes, along with the understanding that this is an ongoing learning process, is part of the shift toward becoming a HAES-informed professional. Anita came to me after terminating with her previous therapist, whom she’d been seeing for help with her anxiety. Over the course of their work, she’d revealed her struggle with overeating and her goal of losing weight. In response, he’d suggested that she cut out high-fat foods, such as butter, and stop bringing them into her home. Fine, Anita thought, I’ll do that. But over time, her bingeing increased, her therapist grew disappointed, and she contacted me to figure out what to do next. This is a typical scenario, where therapists, with the best of intentions, reinforce unhelpful beliefs about eating and weight that are woven into diet culture and almost always backfire. Instead, as a HAES-informed therapist, I helped Anita develop the ability to eat when hungry, tune into what she was hungry for, given a wide variety of foods to choose from, and stop when satisfied. Through mindfulness techniques and building her support network, she learned to manage her anxiety better without reaching for food. She started swimming regularly and wearing clothes that made her feel attractive and comfortable. As she practiced and sustained these positive, healthful behaviors, her weight stabilized. And as we talked about the ways she’d internalized weight stigma, she became increasingly more accepting of her larger body. The trouble for Anita was that outside of our sessions, she was bombarded with cultural messages indicating her size was a problem. At family dinners, relatives talked about their latest fad diets and urged her to try them. When Anita went out with friends, they bemoaned their own body sizes, even though they were smaller than her. Even Anita’s doctor confused her by suggesting it would be a good idea to lose weight, despite her excellent cholesterol, blood-pressure, and blood-sugar readings. Like many clients, she found herself in a bind: to shed pounds, she’d have to under-eat or over-exercise—behaviors she knew were considered unhealthy in eating disordered clients. Together, Anita and I brainstormed strategies that would help her manage the weight stigma she was encountering. When family and friends started talking diets, she redirected the conversation to topics like travel and work. She also found the courage to give her doctor an article about the HAES approach. Whether it’s in our clinical work or personal lives, a HAES lens means that we no longer send messages that weight loss trumps well-being. In this sense, it’s critical to support clients in advocating for themselves so they can meet their needs and live fully in the world. Heidi was a higher-weight woman in recovery from binge eating disorder, whose body size exacerbated her knee problems. From a HAES perspective, I helped her role-play how she’d approach the new orthopedic doctor she’d be visiting the following week. “You can see I’m fat,” she began, “I know my weight may affect my knees, and I know that you see people with knee problems who aren’t fat. My weight may not change, so I want to be given the same treatment you’d give them.” While the doctor did tell her that some weight loss might help, he didn’t demand it, shame her, or withhold treatment. Instead, he offered alternative interventions that helped her walk with much less pain. She was thrilled to be able to follow through with plans to visit her relatives and hike some beautiful nearby trails. She felt so empowered that she signed up for a yoga teacher training and now plans to offer plus-size yoga to give higher-weight people a safe place to practice. With greater understanding in recent years about different types of privileged statuses and systemic structures that unfairly affect people in marginalized groups, the HAES framework continues to evolve in its efforts to heighten awareness of the role that bias and oppression play in a person’s health. Data shows that a person’s zip code, for example, is more predictive of their health than BMI. It may seem counterintuitive, but adults with greater body satisfaction across the weight spectrum report more positive health behaviors and have better health status regardless of BMI. Because the terms overweight (over what weight?) and obesity (which implies sickness) contribute to weight stigma, HAES-informed people use more neutral terms, such as higher weight or large to refer to body size. In fact, the word fat has been reclaimed by many in the size-acceptance movement as a neutral or positive descriptor, similar to how queer is now used as a positive identity within the LGBTQ community. Paradigm shifts are difficult. They require us to look deeply at our own attitudes, biases, and values—and how they match up with the research and our clients’ lived experiences. Of course, we all know someone who lost weight and kept it off, but we need to recognize that this is the exception, rather than the norm. We all have clients who feel it’s imperative to lose weight in order to live a good life, and many of us struggle with weight concerns ourselves. There’s nothing easy or comfortable about this. Hopefully, we can all agree that respecting people of all body sizes and ending fat shaming is good for everyone. If clients share that they come from a HAES perspective, we can support them without thinking they’re giving up and not taking care of themselves, and without judging character based on body size. Given the massive failure of the traditional weight-focused model, becoming HAES-informed offers a way to avoid being complicit in our clients’ experiences of diet failure, shame, and weight stigma. Judith Matz, LCSW, is coauthor of Beyond a Shadow of a Diet: The Comprehensive Guide to Treating Binge Eating Disorder, Compulsive Eating, and Emotional Overeating and The Diet Survivor’s Handbook: 60 Lessons in Eating, Acceptance and Self-Care. She’s a speaker and trainer with a private practice in Skokie, IL. Contact: judmatz@gmail.com. Want to submit a In Consultation piece for an upcoming issue? Please see Submission Guidelines. A very powerful and insightful piece! Matz has a wonderful grasp of the issues. One if my favorites: “Data shows that a person’s zip code, for example, is more predictive of their health than BMI.” Priceless!